Sports broadcaster Andy Mohler, a 1984 graduate of Illinois State University’s School of Communication. Baseball is often a gift from a parent to a child. In Andy Mohler’s case, his love for the game came from a surprising source. 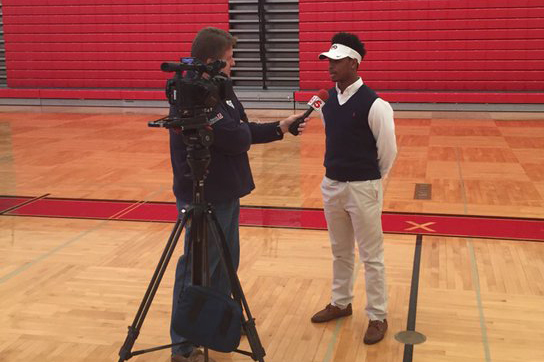 Since 1989, Mohler has been the lead sports producer at KSDK, the NBC television affiliate in St. Louis. He’s responsible for the station’s daily sports content, “the candy store of the newscast,” as he says. And, it’s a reason he said he puts stock in the old cliché: “Get a job you love doing, and you never work a day in your life,” adding that it turned out exactly that way for him. 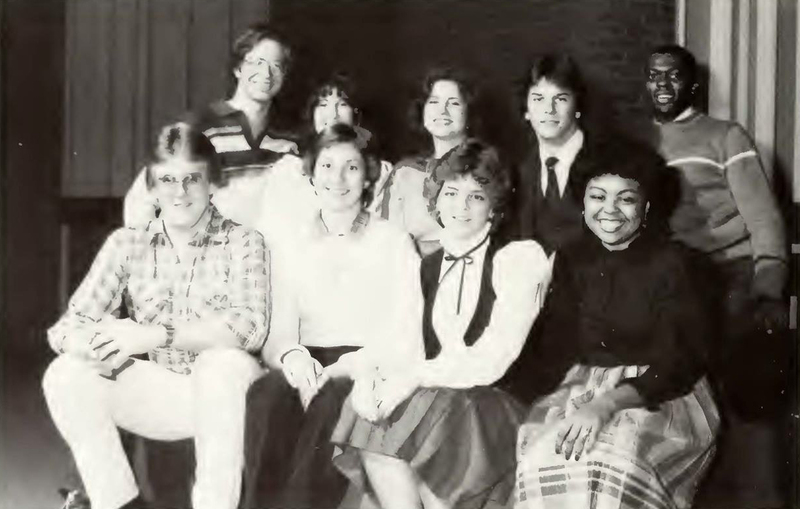 Shortly after graduating Illinois State, Mohler landed a part-time job in the circulation department at his hometown newspaper, the Alton Telegraph. Later that summer, he got a pretty good break when an opportunity came up at KSDK. But he worked for free—literally without pay—for about a year working a day or two, sometimes three days per week. Eventually that turned into a full-time, paying job, making him the rarest of media types who stay at one place for three decades. 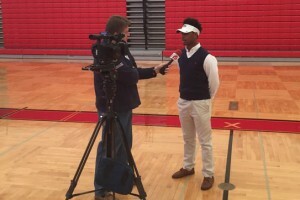 Andy Mohler on the job, interviewing an athlete for KSDK, the NBC television affiliate in St. Louis. Mohler is encyclopedic enough on his own, but he has a first-rate archive at his disposal that he makes good use of. He loves the historical stuff, and one of his favorite things these days is picking through the station’s archived footage. He used a bunch of film from the ’64 season when the Phillies collapsed, and the Cardinals won on the last day of the season as the basis for a show that was nominated for an Emmy. He also does essays—long-form historical and perspective pieces—that run on KSDK.com. And, he’s made a few trips to spring training. A highlight was meeting the late Cardinals broadcaster Jack Buck. But his interest in broadcasting goes back well before college. 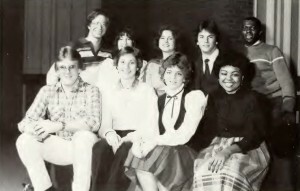 Mohler, front left, with his fellow WZND staffers in his yearbook photo from the 1980s. He’d listen to the popular Jim White and a young Bob Costas while he was going to sleep. Not too many years after, he would come to know some of the people behind those signature voices that had come crackling through the night air on the AM dial. Eventually his radio would need fresh batteries, and he’d have to ask his dad for more. 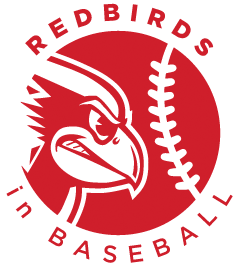 Training in the ways of Cardinals baseball fandom came early and often. The soundtrack to Mohler’s childhood featured a familiar voice to most folks living in the middle of the country. “I remember my mom had a radio tuned to KMOX, and we’d listen to Harry Caray,” he said of his early years listening religiously to his beloved St. Louis Cardinals. Sadly, when Mohler was just 8 years old, he lost his mother. “I miss her every day, but she left me many lasting gifts,” he said. Among the precious mother-to-son legacies that Joy Mohler bequeathed to her boy, baseball remains a favorite. The game is, as Andy Mohler describes it so well, a part of his DNA.